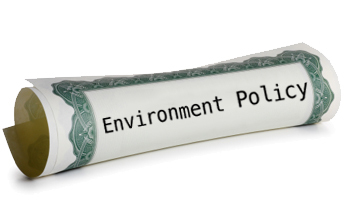 To outline the policy effective throughout PTL, countrywide, concerning environmental protection. To state PTL's environmental policy and plans for reducing our impact on the environment. Environmental protection is management's responsibility as well as the responsibility of every PTL employee. This policy addresses all aspects of PTL's operations that can potentially impact the environment. •Conduct its operations in accordance with applicable environmental protection laws, regulations and standards and provide a mechanism for self-monitoring to ensure compliance and continual improvement. •Establish specific corporate targets and objectives as well as the means to measure progress in reaching these targets and objectives. These targets and objectives shall be reviewed and revised as necessary on an annual basis. •Partner with programs, governments, and agencies to diligently pursue the means to reduce and / or mitigate PTL's impact on the environment. •Promote employee awareness of environmental issues and provide education on what individual actions can be taken to reduce their impact of the environment. •Promote the adoption of environmental protection goals and practices by our contractors and suppliers, and strongly encourage improvements in their practices to make them more consistent with those of PTL's. •Operate our facilities and conduct our business in an energy efficient and environmentally responsible manner. •Reduce waste through recycling and dispose of all waste using safe and responsible methods. •Assess the condition of property interests that are acquired by PTL, and appropriately address the environmental impacts caused by these properties. •Ensure that the Board of Directors is fully informed about pertinent environmental issues and PTL's plan to resolve them.